The changing values of Irish property. 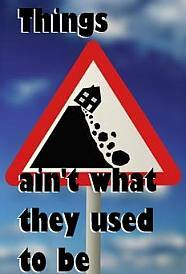 Property values in Ireland are down over 20% from their 2006 highs, there are reports saying less but the issue in Ireland is that the Private Treaty treatment of property deals means that we don’t always get an accurate reflection of property prices. Consider this: A bank makes a report talking about property values, if they take into account the value that a property is sold for they likely don’t know what it was initially listed at, nor do they know for sure what price drops it would have taken. Then there is the issue of property valuations going to brokers or bank branches first, in either scenario the figures may be called on for adjustment by the valuer before going to head office. Why would this happen? 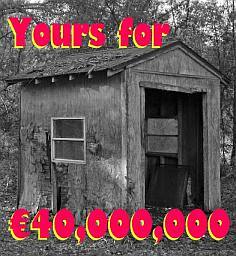 Say (for instance) that a person goes sale agreed at €310,000 and the valuation comes in at €305,000. This will change the mortgage available to the purchaser. Often an adviser will then call the valuer and ask why it was valued for less than the sale agreed price, sometimes it is an error, other times there is a reason but in any case the customer facing person is privy to information about the value of the property. This is a mistake, valuations should go directly from a valuer to the lender and not involve either brokers or customer facing bank staff because the possibility for manipulation is simply too great. If a valuer sticks to their guns then there are always other valuers who may price the property accordingly and this would also be an issue, if the valuation went directly to the bank and nobody else then it would be guaranteed to be absolutely accurate. One problem in the current market is the question many are asking ‘what is a property worth?’. Take an example where a new development is for sale and the first buyers paid asking price of €300,000 but somebody else held out and the developer dropped the price to €260,000. Is the first house worth 300k and the second one got a discount? Or is the second house the actual correct market value and the first house is merely in negative equity? You can argue either side but the best answer for banks and clients alike would be to have a more comprehensive and secretive valuation process whereby people in the chain are surpassed and the vital information goes directly to the decision maker (underwriter) without involving other people in the process who may have divided loyalties. Naturally this doesn’t make any financial adviser look good, not banking staff or intermediaries, but at the same time it is the duty of banks to ensure that they operate efficiently and in the clients best interest at all times, not allowing anybody other than the underwriter to have access to valuations would be one method of assuring this.